The test of the unmanned underwater vehicle prototype reportedly took place on November 27. The Russian Navy has reportedly conducted a test of a nuclear-capable underwater vehicle (UUV), code-named Kanyon by U.S. intelligence and known as Ocean Multipurpose System Status-6. The test took place on November 27, The Washington Free Beacon reported on December 8, based on information supplied by unidentified Pentagon sources. 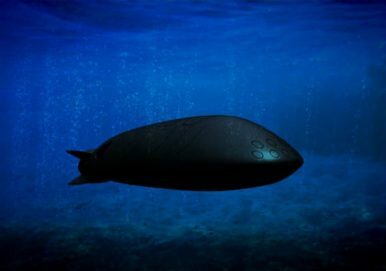 According to Pentagon officials, the UUV was launched from a B-90 Sarov-class Project 20120 diesel-electric submarine specifically designed and used by the Russian Navy for testing new weapons and military equipment. It is the only submarine of its class currently in service with the Russian Navy. Neither the location of the test site nor any other details surrounding the November 27 UUV test were revealed. The existence of the UUV program was first revealed in September 2015 (See: “Is Russia Building a Top-Secret Nuclear-Armed Underwater Drone?”). In November 2015, a Russian state-run television station aired footage showing a classified presentation slide of the long-range nuclear-capable UUV. Once completed, both submarines will have the capability to carry smaller unmanned underwater vehicles (UUV): The Project 09852 sub will be able to carry up to six torpedoes, whereas a Project 09851 boat will be capable of fitting up to four UUVs. There is speculation among Western intelligence analysts that the leak of the slide was intentional to signal to the United States Russia’s displeasure with U.S. missile defense plans in Europe. Given various technical limitations currently present in Russia, it could be the mid-2020s before the Russian defense industry operationalizes this new weapons system. “UUV technology is not maturing as quickly as UAVs, because, for one thing, it is a lot more difficult to communicate with UUVs than aerial drones – oceans are opaque to radio signals and acoustic signals travel a lot slower than radio waves. Consequently, UUVs have to be almost completely autonomous, which poses various technical challenges,” I noted in September 2015. As a consequence, the U.S. Navy made the decision to rely on commercially available UUVs for the time being. Russia’s latest doomsday weapon is designed to create a radioactive Tsunami wave that would engulf entire coastal cities.